Whether you have been drawing professionally for years, are a college student, or are coming back to art after a long hiatus, we are all students. Have you ever wondered what it takes to be the best student you can be? In this episode we go over some negative mindsets that students sometimes have, share tips on improving your learning and ability to be taught, and share how you can best utilize SVSLearn and online learning resources. She continued by saying something along the lines of, "The idea of self audits is great and I am taking to heart the idea of really honing my craft over the next year. I would like to know as an artist taking your classes the best method to take and absorb those classes since I only have a few hours in a day after work to learn and get better." So that’s what we want to talk about today. We did these things called 3rd Thursday’s and they were Webinars that we did live and then we would put the recording of it on Youtube. We put all of those webinars on SVSLearn.com. So we are taking some content from one of our Third Thursdays from a while back and presenting it in a more creative way. First off, in all the years that Jake worked for studios and being apart of the process of looking at portfolios for people that they wanted to hire, never once did they ask if the applicant went to school. The portfolio always was first. They always would look at their portfolio to see if they could do the work and then they would ask what school they went to but wouldn’t check if they graduated or anything. 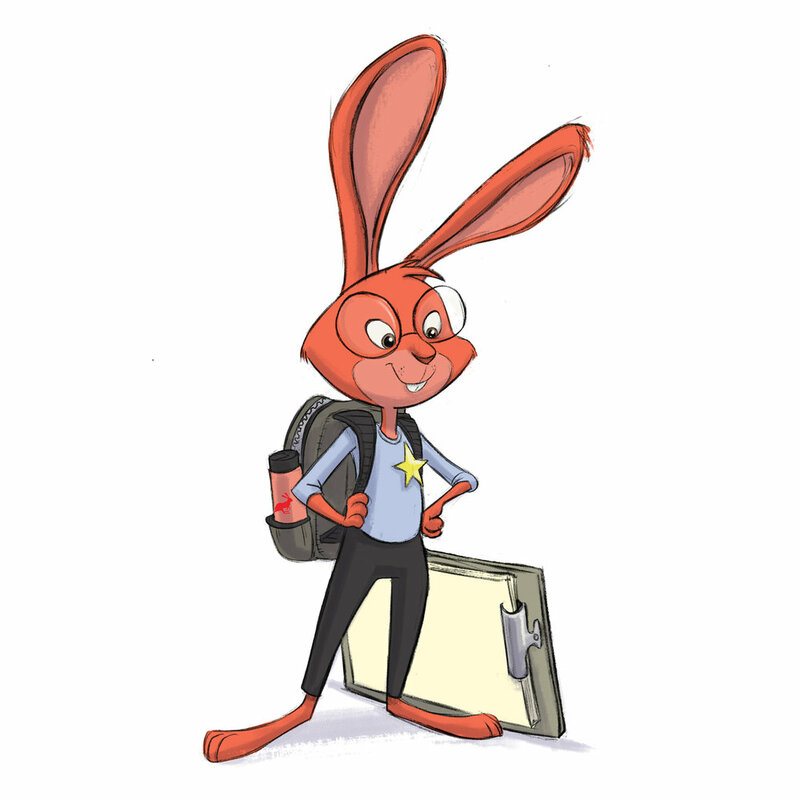 The degree, as far as the real world is concerned in concept art, in children’s books, etc. does not matter, what matters is that you can do the work. It’s a meritocracy. It’s all based on ability. How well can you perform the task? Would you say that people who have gotten far enough in a degree program should quit? If it is your last semester and there isn't a job offer yet, then finish it out. If there is a job opportunity that is available and it is what you are going for, it might not make sense to turn that job offer down just to finish out that last semester, and then if you are ever in a position to you can go back and finish that last semester. But we're pretty sure that once you are working in that field that you are wanting to work in and you are good, and already getting job offers as a student then you will keep progressing and odds are you’ll keep getting better and never look back. Unless you want to teach for a University at some point, if there still are Universities in 10 or 20 years. Some job postings do require a degree. But really it all comes down to if you can do the work. If you have a great portfolio, and show you can do the work and especially if you already have some experience under your belt. There will be some companies that want you to get a degree. It's all about your portfolio and skill set. You could have two people who graduate from school and they both graduate and get a degree, however one of them may have worked 2, even 4, even 10 times harder. That person will be so much more prepared for the job field. If the prize was the degree then they will get killed in the job market. Maybe mom and dad will be happy about the degree, but it’s all about the learning. The mindset you should be trying to develop as a student is don’t have your eye set on the degree. The degree should be the byproduct of you trying to get the experience to get a job. Looking at the college kids that Jake works with as assistants, everything they are doing to get that degree is totally going to help them get a job. But it is not about the degree, it is about the experiences they are getting as they work towards that degree. Your senior project or your final art show, that should be the thing that gets the employer’s eyes on your work and interested in you not the degree. Will would give himself assignments or choose to do different assignments that he felt would get him closer to his goals in terms of portfolio. His classmates would sometimes get freaked out and ask him what he was doing and he would say that he was wanting to do freelance after graduating and that he was focused on preparing his portfolio. There is a middle ground with ignoring what your teachers are asking you to do. Lee would ask for permission to adapt assignments and would shoehorn what the teacher said to what he wanted to do. He would do what worked best for him and his portfolio. Jake had an assignment to draw himself as an animal and instead of doing a portrait, he did a landscape with animals in the background, because he wanted to do a piece that could become a part of his portfolio, and he ended up using the piece in his portfolio to get a concept art job. We got into a random sidenote. What animal would we all be? Jake would be a horse, because that’s what he drew himself as in that animal self portrait assignment, plodding along in the distance. Lee would be a squirrel, like Scrat from Ice Age, he’s just scrappy like that and will stop at nothing to get what he wants. Will would be a walrus, chill with cool facial hair. Bonus, if you want to draw animal versions of them then share it with us, we’d love to see them. Some students are not willing to go beyond what the thing calls for. Some students are used to immediate rewards. Lee would have students come in saying, “I spent all night working on this!” And it turns out they had spent 3 or 4 hours, which is nothing. Lee’s average amount of time spent on a piece was 12 hours. Sometimes 9, sometimes 10 or 15 but the average was 12 hours from start to finish. How long do you need? The answer is, as long as it takes. Let’s say you spent 9 hours on a dud, and you budgeted 12, you have 3 hours to keep polishing that dud or you can start a new piece and sacrifice something else to have the time to finish it. Another thing to be wary of is the ‘speed class taker’. They are trying to take as many classes as they can to try and graduate a bit earlier. You should take fewer classes and allow yourself time to do the work, be able to mess it up and make mistakes and learn from them and do it again. Jake did this drawing of animals flying and his friend, [Scotty Young](http://skottieyoung.com/) told him that it was good but nothing special. So Jake redid it and pushed it a lot further. He spent 2 or 3 times as long on the second iteration. Jake’s first graphic novel was about 170 pages long and he timed it out the amount of time spent on each page was around 10-14 hour and that was around a year, while working a full time job. If you really want something you have to learn to get that thing done. Perhaps college is the best place to learn that, where you go from amateur to professional by one by one doing these assignments and after each one evaluate what you did well on it and what you can do better. How could you have spent more time on it, and better yet focused time. Until eventually you don’t even bat an eye if you have to redo something. In a year: what is your percentage of illustrations that you feel are your best work and better than the rest, that you really love a lot more than your other stuff you did. As a pro mostly everything you do should be at least okay, usually pretty acceptable. Then there are those ones that people really respond to and have that special quality to them, for Lee, he is stoked if he can get a couple really awesome pieces in a year. Every year Jake does 1, 2, or 3 pieces where he feels he really leveled up and they act as a benchmark for the following years. Even as professionals, the work created is still professional, but only a few pieces a year are seen as extraordinary compared to previous work. So if you are a student even if you are working very hard, not everything is going to be absolutely amazing. So it becomes a game of numbers, if you want to get a some stellar pieces done you need to do a bunch of pieces and work. Lee would review senior portfolios and he noticed that everything would look nice and cohesive but would usually come across one that was really over rendered. He learned that they came from the students rendering classes and they couldn’t give them up because they had spent so much time on them. You can say that after you’ve learned the fundamentals; after you’ve learned composition, light and shadow, some color theory, some anatomy, perspective, proportion, and line quality. Once you have figured those things out, then you have the freedom to say, “Now I want to do my style this way and this is how I draw.” Up until then that’s a crutch and you can use it as something to lean on. Jake likes to compare art to music. You can’t just step up to a piano and pluck the keys with awful timing and make up your own stuff and expect it to be good. You have to master the fundamentals. Once you can play the basics then you can start to mess around more. That is an out, it makes you feel good, but really it is a lie. Mary Grandpre, you look at those and they are really well done, but perspective is not really all there. Some objects have dimension and there are objects that are more designy. She can draw that way if she wants to, but could draw them all “more correctly.” She does this deliberately and she can because she has earned it. Student’s want the teacher to support their vision. How many students would enter a college level writing class, and argue that the teacher shouldn’t critique their work but support their vision. The teacher will surely point out bad sentence structure, bad grammar, too many main ideas in a paragraph, etc. All art is the same, they all have a lot of similar principles. You can’t get around it, you never will get mad because you have good draftsmanship and you learned to draw something well. Even Jake is still learning. He has been working on relearning anatomy, he has leveled up a lot just since he started studying it more since a few months ago. He has already seen his drawings level up since he’s been studying this stuff. If you think you’re done learning, you’re not. This is a lifelong pursuit, and you need to be committed to lifelong learning. You need to have an open mind and be open to receiving feedback. Will identified all of these problems that his students had. Every year it’s the same: there are 3 or 5 that really get it and are doing really good, and then on the other hand there are a few who don’t get it at all and are not present, the rest are in between. In 9 years teaching over there, he has only seen like 3 or 4 students who went from the lower or middle section to the high section. He had one student who after school Will was really impressed with how her work had leveled up a lot, he asked her why she had gotten so good and she shared that, she looked around and she realized that her work wasn’t at the level as everyone else’s. So she decided to make a change. Still doesn’t know why she was able to do that, while others really struggle. Lee had a friend in school and they all shared their portfolios with each other that they used to get accepted to their program. His portfolio was not that great and it matched his classwork. He was pretty clumsy and not much of a stand out for those first couple of terms. And then around the 4th term he really started to stand out some more and started to have some pretty good pieces from time to time. By the time that they left he was smoking, he was so good. He really did his very best with everything, every assignment, starting with the basics. And he just did it right, he really transformed as an artist. It was not through talent, but due to sheer hard work and listening to feedback. Will loves to see that transformation. Will went through that transformation himself and now he loves to see that transformation in his own students. The cool thing about teaching is that you can find teachers that really resonate with your learning style. People naturally gather around your work, without you having to point it out. You’ll start to win things: contests, awards, etc. You start getting paid, you have people that start asking you to do things for money. It’s the people who put their head down and just work. They don’t keep their head down and work in a vacuum but they learn from other people too. Will’s list of things you should avoid as a student (and as a professional). Wearing headphones during class, half of your learning is going to happen from the people sitting around you. If you are not hearing side conversations or building friendships, you are missing out on a lot of learning. Overly critical during critiques, but their work was unfinished or sloppy. Packing up 15 minutes early. Turning in scribble sketchbooks, if you don’t want to do it, just don’t do it. The art director from Sony was giving a lecture on, “How to Make Me Hire You” and there was a student clickety clacking typing on their keyboard really loud and they weren’t taking notes. Lee was furious and really got after his students after the lecture for being so disrespectful. Jake had this student that was just heads and shoulders above the rest of the class. Jake asked her why she was so good, and what her process was. She said that since the 7th grade she filled a sketchbook every month until now she was 22. So a lot of growth comes from pencil mileage. He just loves drawing, even more than those of us who really love it. He probably draws from morning till night everyday. He loves drawing to the point that his life is maybe not quite balanced. Group projects are especially important. Don’t drop the ball when people are counting on you. People who get hired are people who are fellow working student’s friends and people who did good on group assignments. Don’t be a person who bombs it at a group assignment. Don’t treat it like Netflix and just have it playing in the background, instead watch the videos, do the assignments, get a sketchbook for notes, and take notes. Look at it as your school, and really take it seriously and treat it as your school. Look at your schedule and see what you can do daily and then try and have a day in the week where you can give 3 or 4 hours to apply what you are learning. Really evaluate your goals. What do you really want to get out of it. A lot of people say that they want to work professionally. But do you really want to work professionally full time? Maybe you just want to do some freelance on the side, maybe you are trying to get better to do a personal project, maybe it’s just a hobby. It’s important to take inventory on your goals so you can approach your education more wisely and strategically. Post and participate on the forum. Give and take. Take the classes that attack those different weaknesses that come up in critiques. It’s not Netflix, there’s this weird phenomenon where when you are watching someone do something it seems so easy that you feel like you could do it too. Lee would watch these tutorials, of Feng Zhu a concept artist on Star Wars, and feel that “Yeah i can do that!” Then when he would try and replicate it he would totally flounder. You need to put the pen to paper and put some marks down to learn, you can’t learn just from watching it. Until your hand has done it, you haven’t learned it. If you only have a couple hours a day, you shouldn’t put the pressure on yourself that someone who is in art school full time (9 hours a day of class). You should take one class at a time and really go through that class thoroughly. Sometimes people run through the classes and it doesn’t really show fully in their work. We have talked about having illustration tests and that hopefully we would have enough staff at that time that we can give you a critique on your illustrations, like we do in our interactive classes. Sometimes it is hard to get an honest critique out of people, they might say, “Well, I’m not an instructor, but this is my opinion…” You don’t have to be an instructor to give valuable critique and feedback, your opinion is valuable. You should go in there and read and engage and then people will be more willing and happy to give you a critique on your work. Be specific about what you are looking for in a critique. There are a lot of things that can be learned from this episode. If you are already a professional, you can look at it as how can I be the best professional that I can be? Best of luck with being the best student and lifelong learner that you can be! We are all learning. If you like this episode, please share it, subscribe, and we’d love it if you left a review! These podcasts live and die on reviews. If you want to join in on this discussion log onto forum.svslearn.com, there is a forum for this episode you can comment on.